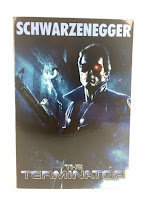 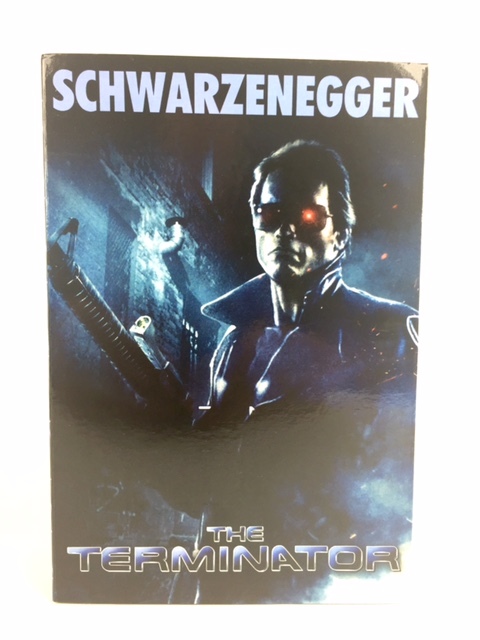 The packaging comes in the Ultimate window box format with an excellent The Terminator DVD cover. 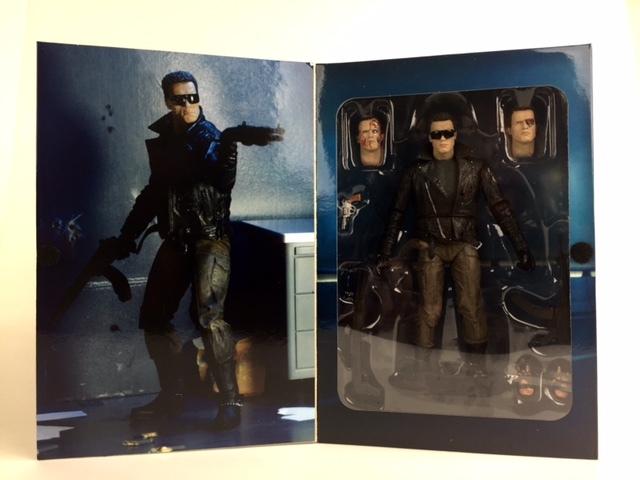 NECA always gets the packaging right, and this box art selection is epic! 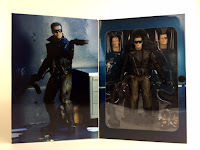 The inside of the box shows a clear picture of the T-800 during the police assault. 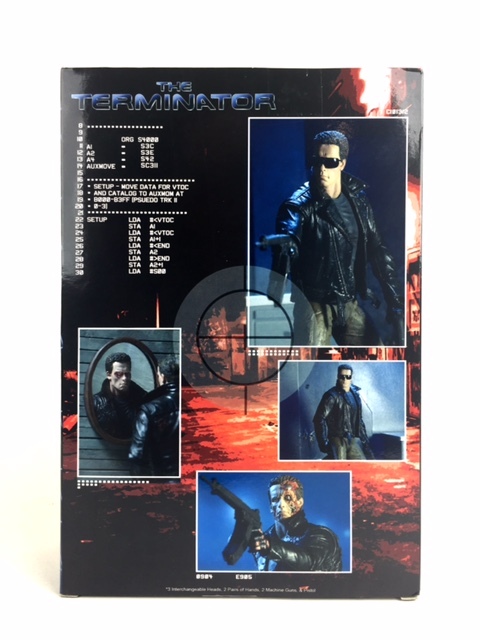 The back of the box has a few unique figure shots with Terminator coding specs in the top left. 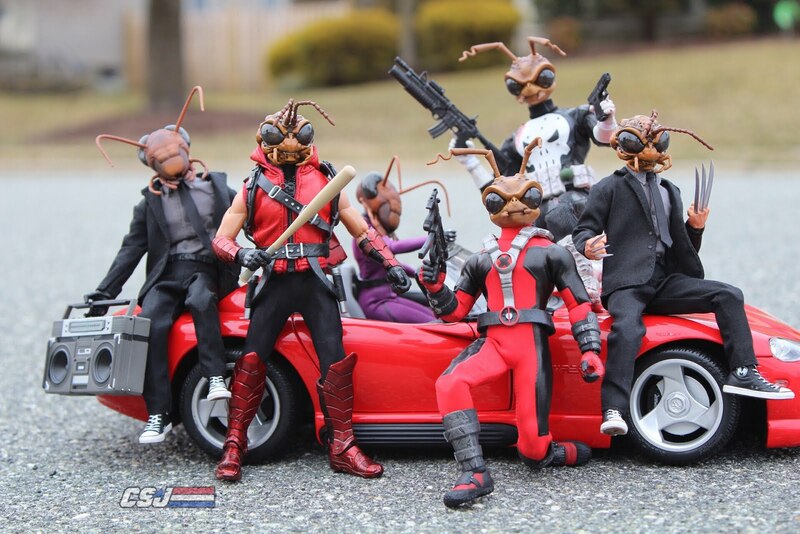 The presentation for this figure just can't get any better. It's spot on, and you will see it a mile away in your local store. 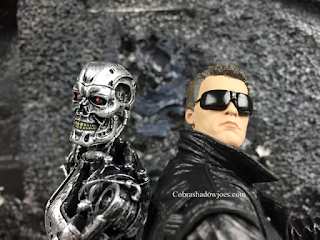 I believe that most people will tell you the one iconic look they remember from The Terminator is the Tech Noir scene. This is a great look as well as a great scene from the club to the car chase, but it's not as good as the police assault. 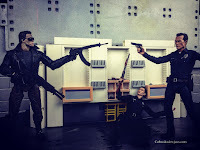 Feel free to disagree, but as I stated above watching this scene as an 8 year old opened my imagination in many ways. 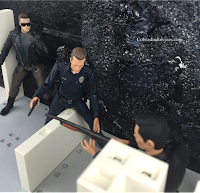 How could one person go into a police station and kill so many cops without anyone stopping him? 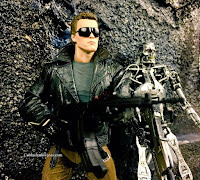 I was only 8 and didn't understand the complexity of the T-800 at the time. I only knew what I was watching on the screen. This figure captures that look in so many different ways and reminds me of the feelings I had as a kid for this scene. 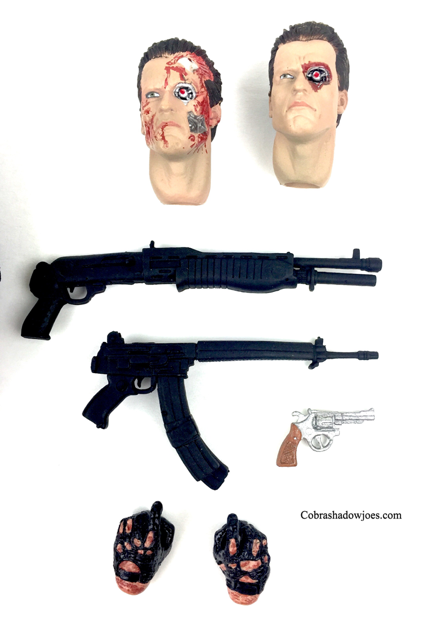 The figure comes with 3 iconic weapons, 3 different head sculpts, and a set of damaged hands. 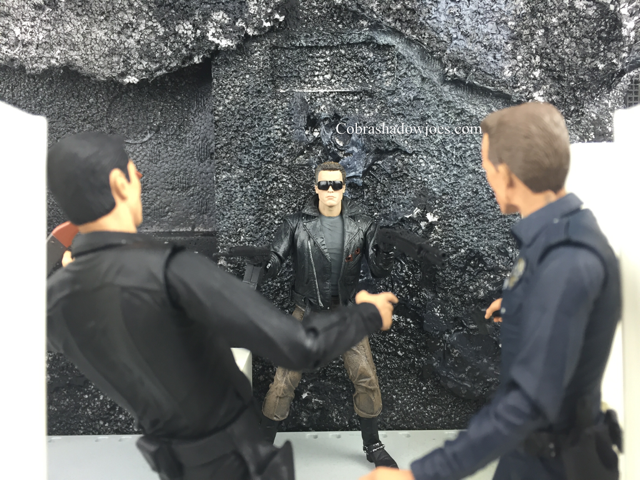 It's easy to pose and I had no issues with the figure while taking pictures. 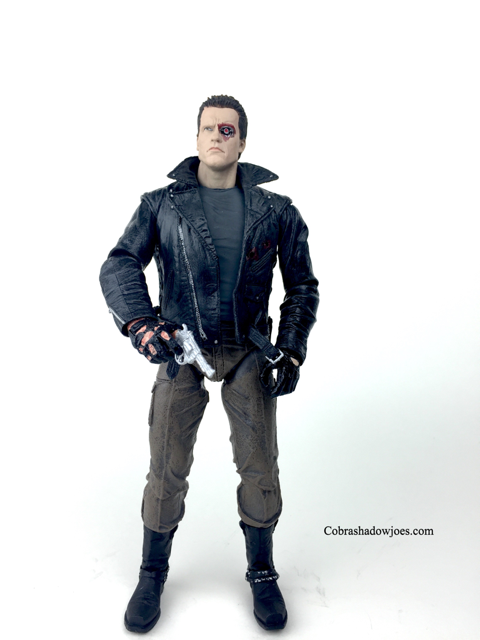 The figure mold is similar to the Tech Noir version with a few slight variations that are key to the look of this character. 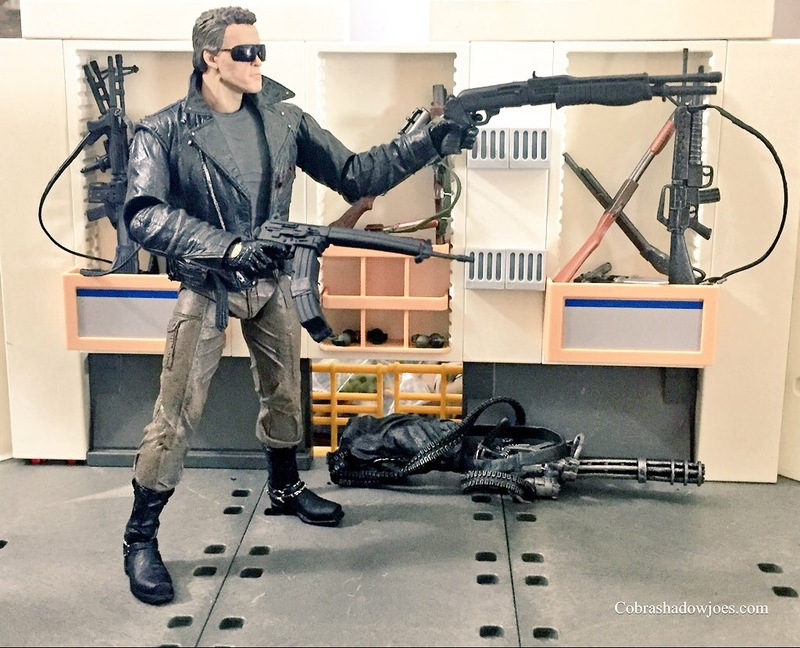 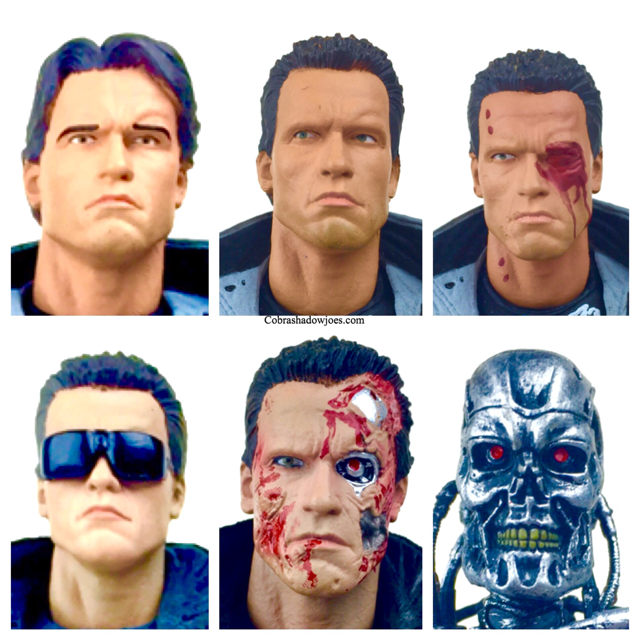 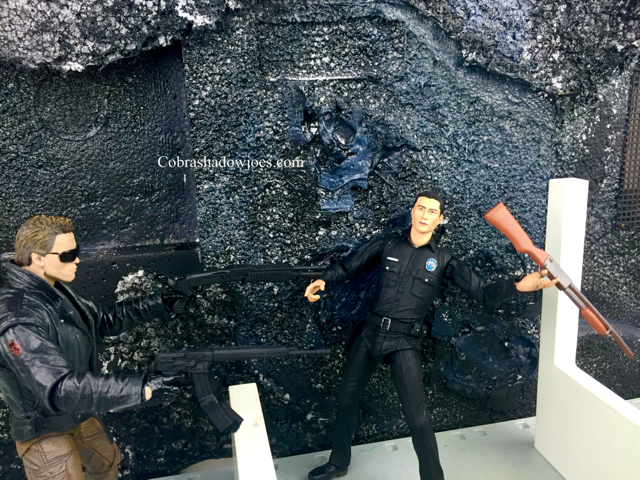 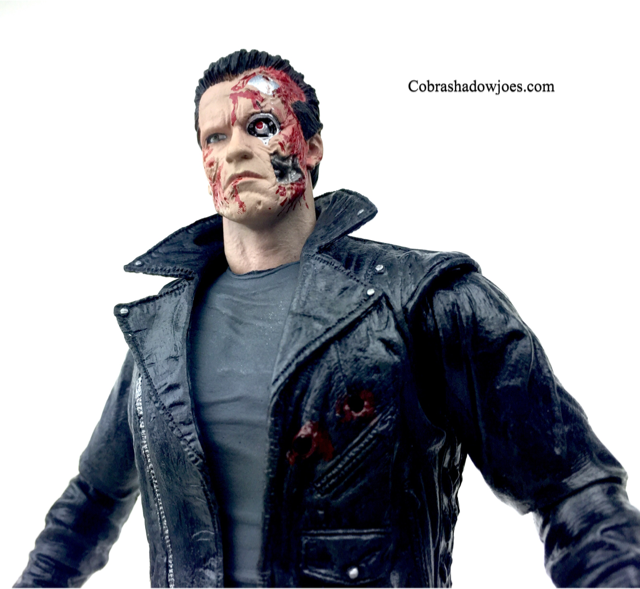 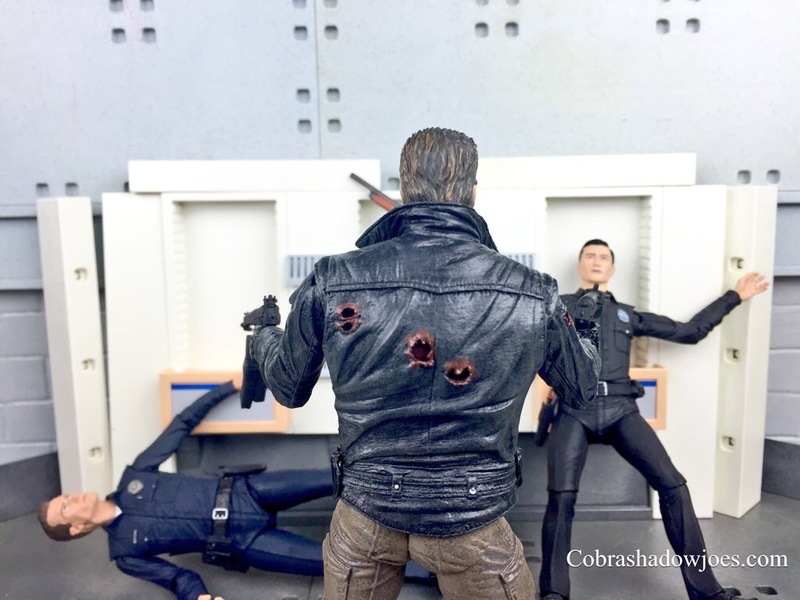 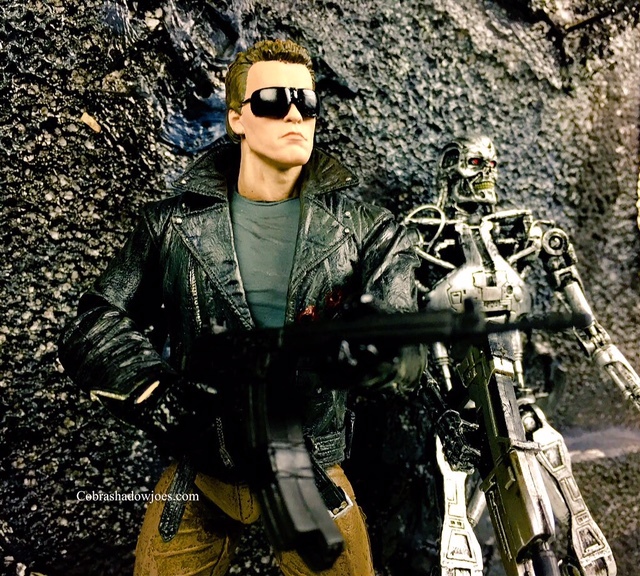 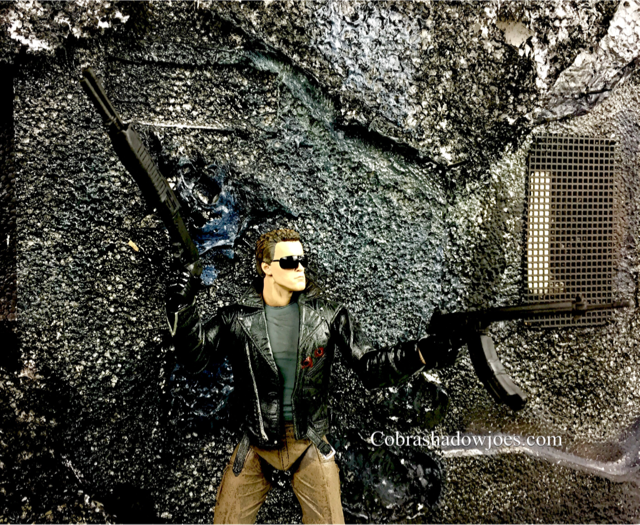 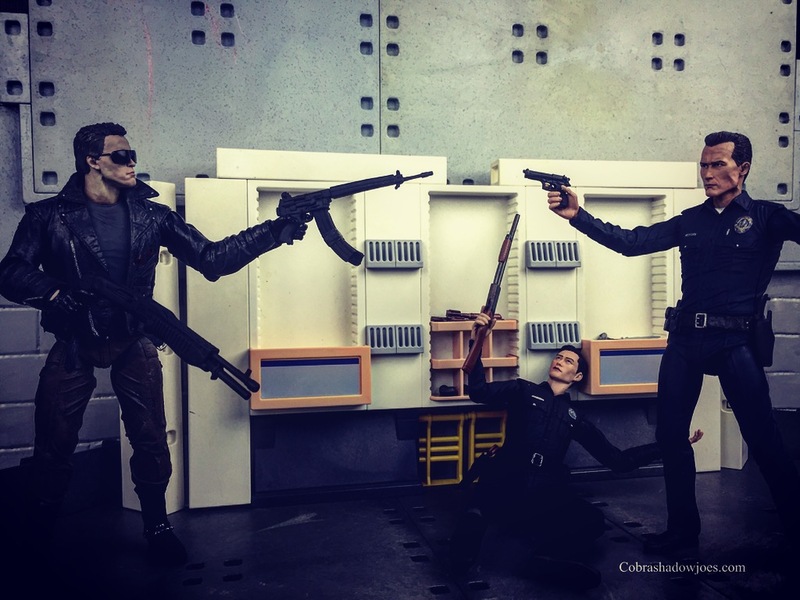 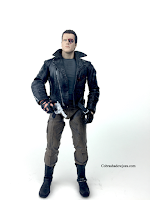 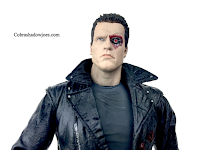 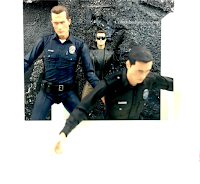 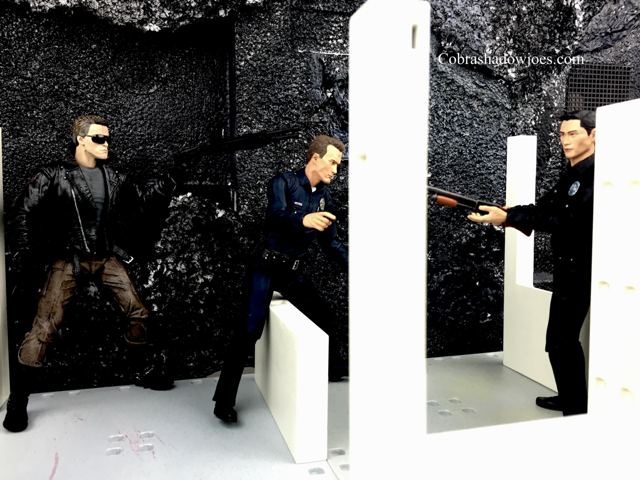 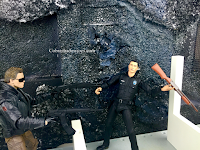 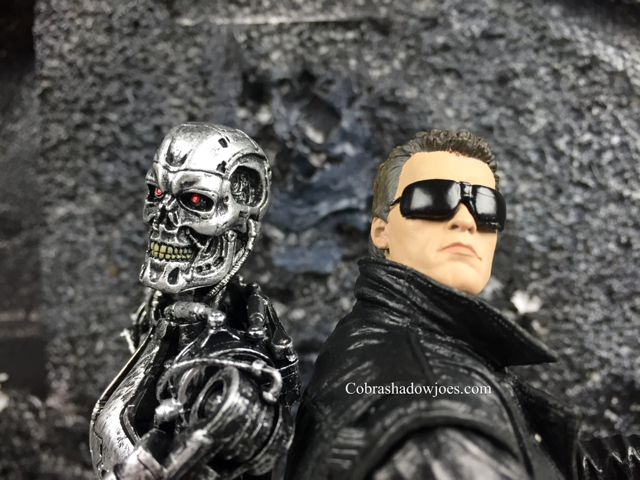 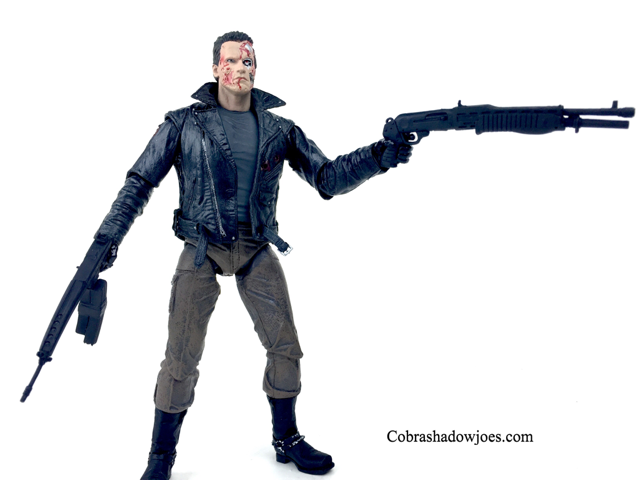 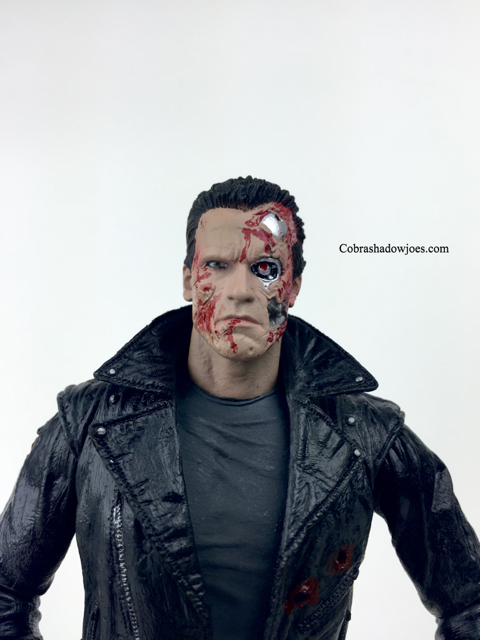 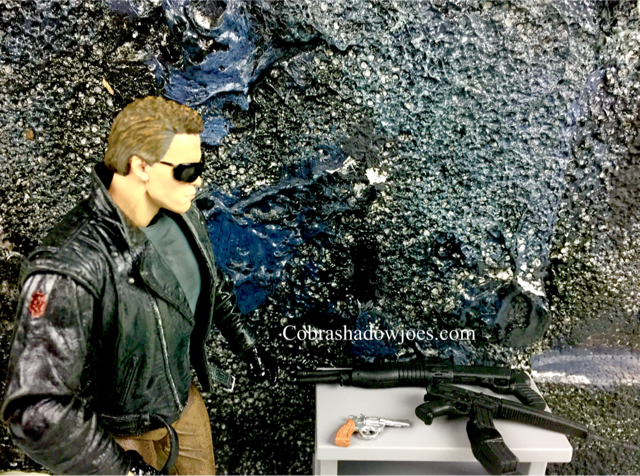 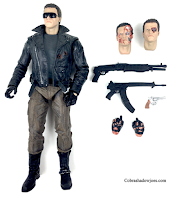 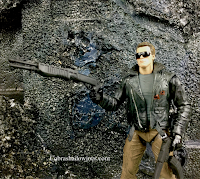 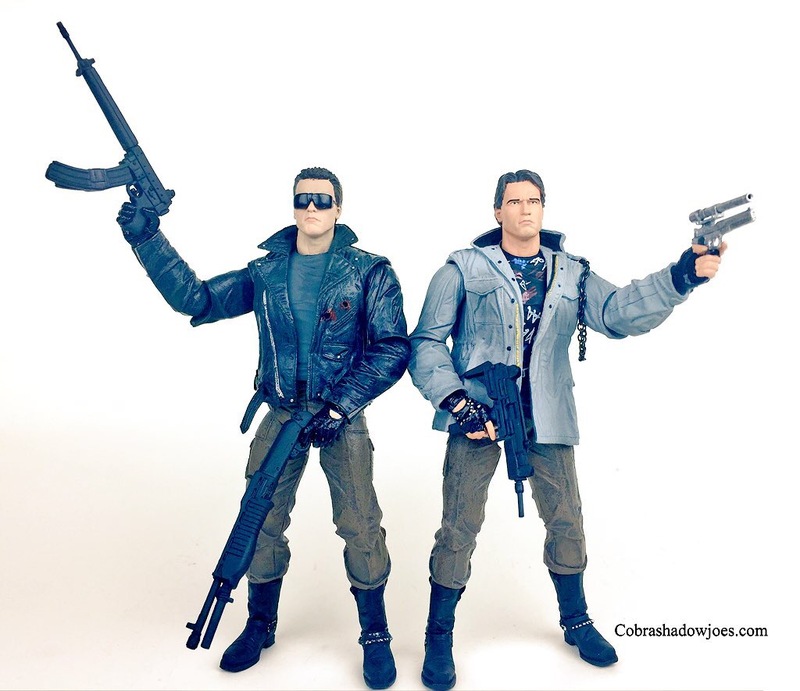 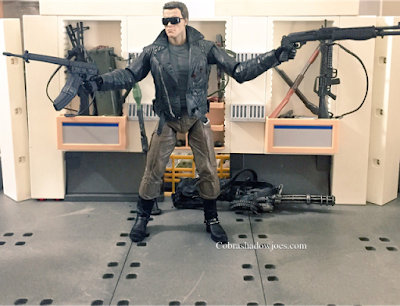 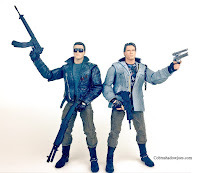 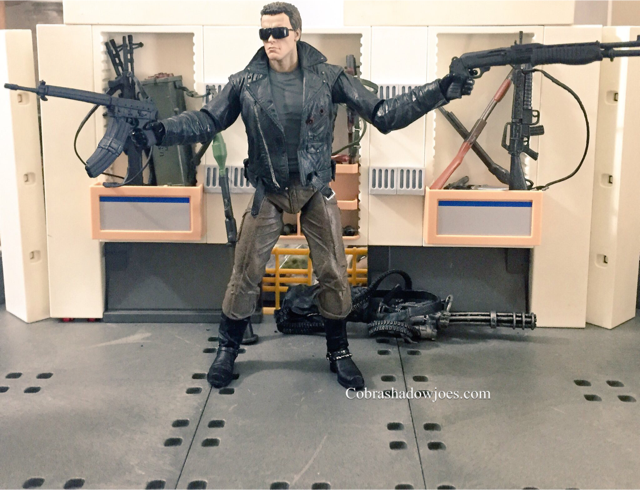 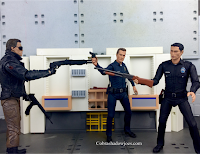 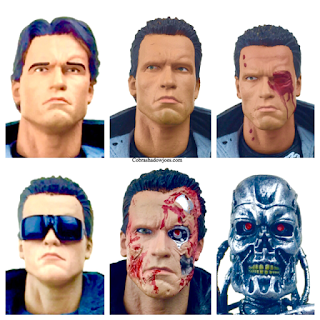 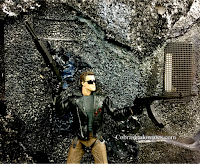 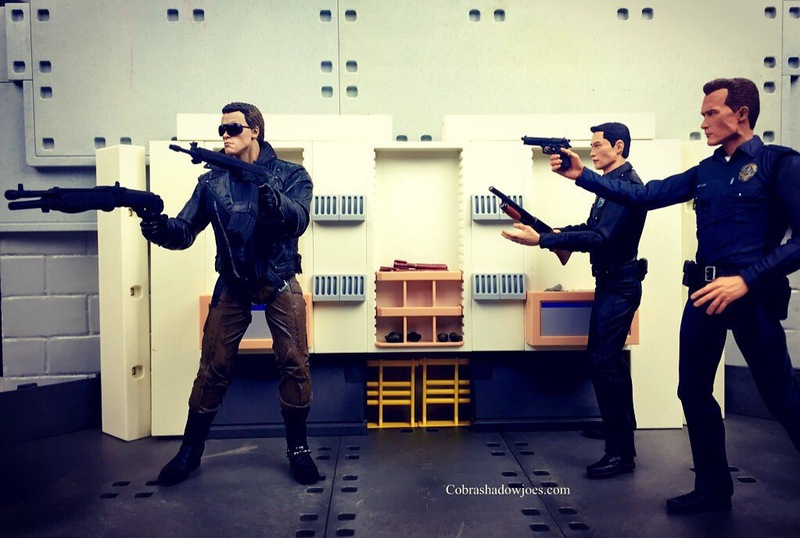 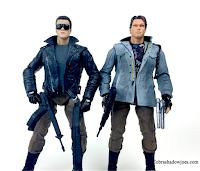 The Police Assault and Tech Noir versions are both excellent figures for any Terminator fan! 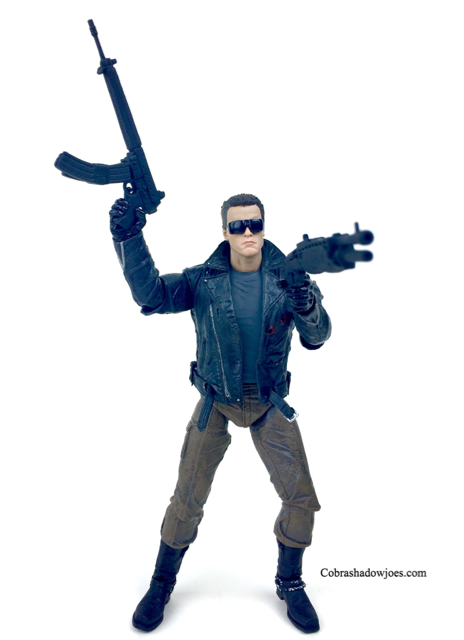 Go out and buy this figure ASAP! 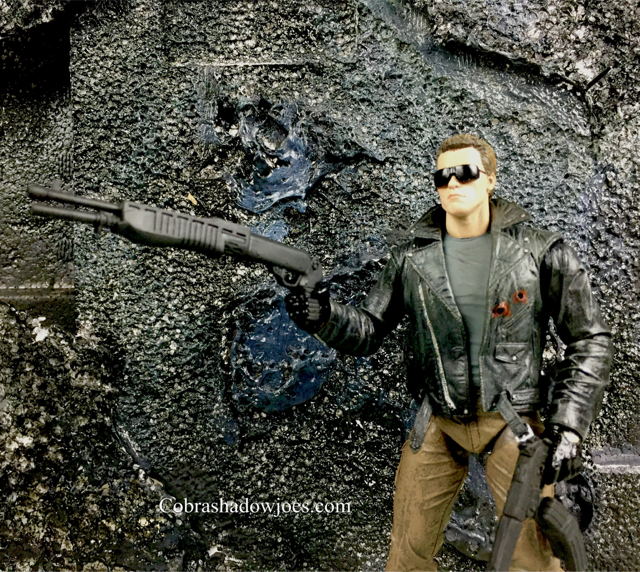 Yes, it's that good. 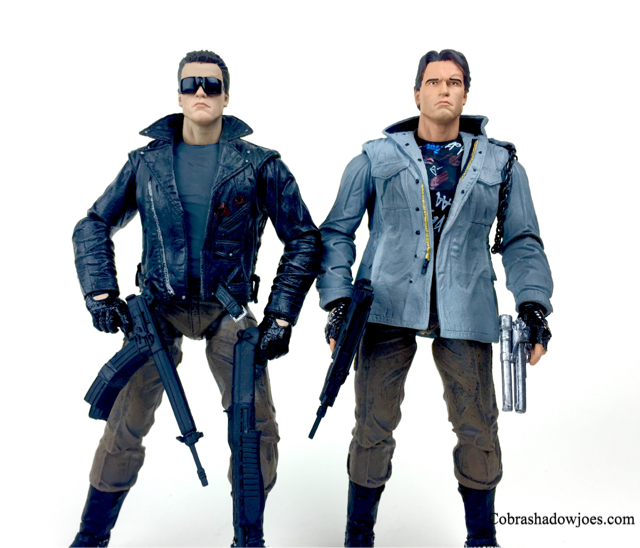 NECA continues to bring bigger and better things to the toy world and this figure is no exception. 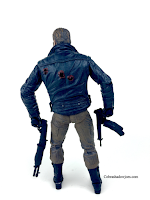 The ultimate line is a huge success and provides collectors with so much more than just a simple figure with a gun. I've had conversations with other collectors and their feedback is if there is one line you are going to collect it should be NECA ultimates line. 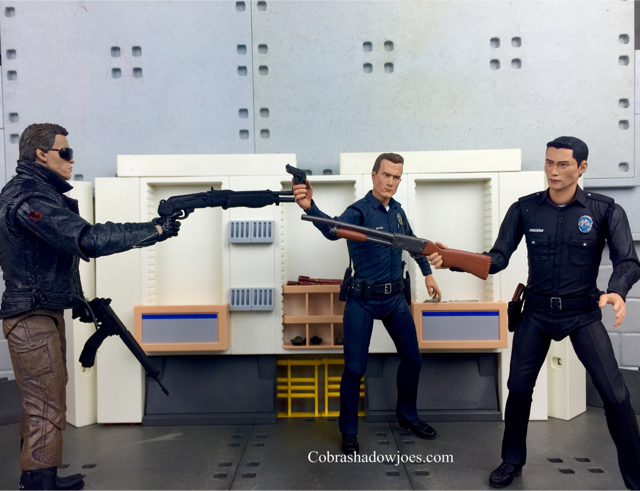 The $25 price point for these figures provides collectors with so much, and there are few products that can compare with this line. 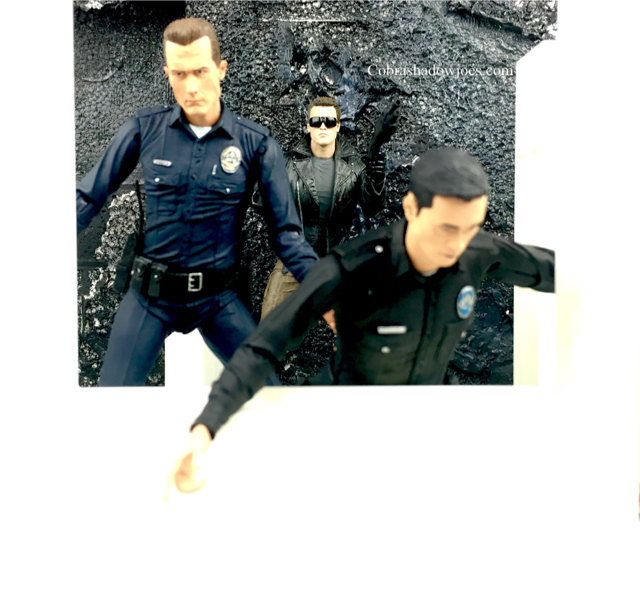 Make sure to check us out on TWITTER!